John Robinson is the Director of Retail Systems at Sonic Corp (recently acquired by Inspire Brands) founded in Oklahoma and operated in 45 states with over 3600 locations. John has worked at Sonic for 30 plus years starting out as a carhop when he was 14 years old, he went on to be a drive-in manager, Supervisor and Director of Operations. 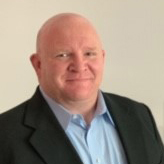 Due to his operational experience and expertise, Sonic Corp recruited John to move to Oklahoma City and bring his experience to the IT division. John jumped right in and helped develop the PAYS (Pay at your Stall) program, POPS (Point of Personalize Service) and several other technology rollouts across the chain. John is a graduate of the University of Kansas with a BSIT Degree and BBM.